How cute! It is a lovely photo. Happy WW! Happy WW, thanks for sharing!! Aw, Misty - I LOVE this picture!!! So sweet! Very cute. 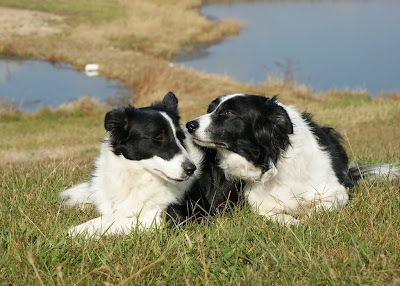 The two dogs look as if one is speaking into the ears and the other is listening. What is in the background? I like the compostion of the two sides of water with the dogs in between.